Studio Ghibli: Dead or in a slump? Matthew Dale discusses the root of the problem surrounding Studio Ghibli’s crisis of succession by delving into the political and personal reasons for the acclaimed studio’s impending downfall. Ever since my mum showed me Spirited Away when I was four years old, I have been an ardent fan of Studio Ghibli. I eagerly anticipate every new film crafted by their incredible talent and have yet to be disappointed by their output (Tales from Earthsea, you say? Don’t know what you’re talking about). Most of my friends justifiably call Pixar the animation powerhouse of the modern era and the pinnacle of animation in their childhood. For 15 years starting from Toy Story, they produced masterpiece after masterpiece which defined the childhood of my generation. However, Ghibli’s output has been as consistently exceptional as Pixar who have been making films longer than Studio Ghibli. Studio Ghibli, I would argue, is the true animation powerhouse of the modern era and had the West discovered their films earlier, I’m sure they would be regarded as such. Despite their glittering credentials though, at the core of Studio Ghibli is a crisis of succession, and one that will define the path of its future. It was only four years ago that the studio announced it was on a hiatus and temporarily halting film production as they restructured in the wake of another retirement from Hayao Miyazaki. It fuelled rumours that time was up, and that we wouldn’t see anything else from Ghibli. But this narrative has been confounded somewhat as the studio has since produced a film and a TV series, and especially by Miyazaki deciding to unretire… yet again. 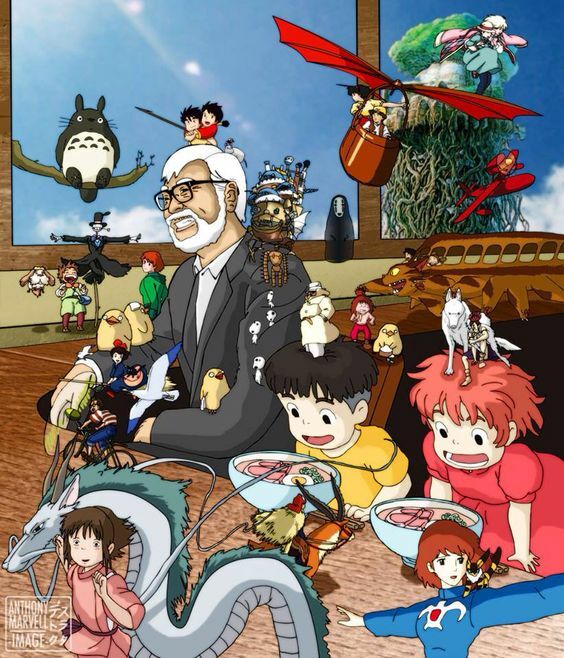 It’s undoubtable that Hayao Miyazaki coming out of retirement to direct another film is brilliant for cinema. One of the most acclaimed directors in, not just anime, but modern film flexing his creative muscles once again will no doubt make an engaging film that will inspire aspiring filmmakers. But Miyazaki coming out of retirement for the second time in his career (if you count his initial decision to make Princess Mononoke his final film) is painting over the crack in the studio’s foundation. Who will succeed as the studio’s auteurs when Ghibli can no longer drag Miyazaki out of another ‘retirement’? Miyazaki is an excellent example of an auteur instantly recognisable due to his cinematic idiosyncrasies. There are recurring themes explored throughout his filmography, the most notable ones being environmentalism, pacifism, and the dichotomy of evil and good which dissolves throughout each of his stories to create a moral ambiguity within each of his characters. Many parallels can also be drawn between most of his protagonists that are characterised as young but resourceful and independent female characters, existing as refreshing feminist role models with a nuance that avoids cynical pandering and tokenism. And this extends to wider collaborations including producer Toshio Suzuki and fellow co-director Isao Takahata. Together they have produced every film Miyazaki has directed since The Castle of Cagliostro, and Joe Hisaishi whose beautiful scores have become a trademark of a Miyazaki film. Isao Takahata, who was himself an incredibly talented filmmaker, stood as the second half Ghibli and directed films including the harrowingly beautiful Grave of the Fireflies, sadly died this year. Takahata has a focus on the ‘mundanity’ of commonplace characters and prosaic environments that may seem dull compared to Miyazaki’s strongly characterised fantastical worlds. But the emotional and aesthetical core is still shared, sharing the emphasis on character development, themes like pacifism and interest in exploring a muddier, more complex morality. His death means one half of Ghibli is inexorably gone. 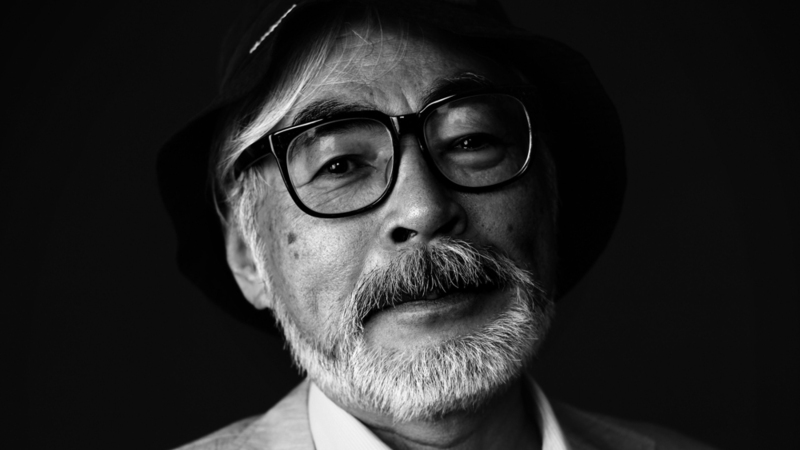 And the macabre reality is that there soon won’t be a Miyazaki to unretire. It’s with this recognisable style where issues arise. Ghibli is a studio built in the image of Miyazaki and Takahata’s creative form; when you imagine or remember a Ghibli, it’s impossible to not tie that to their method of storytelling, distinct characters and their hand-drawn animation style. Who will be able to take up the baton, and what should they do with the baton? Do they keep running in the same direction as their predecessors, or accept a new directorial style and creative vision? Or do they drop out of the race altogether? This is compounded by Ghibli’s previous attempts to remedy this crisis being rebuked. A fresh-faced Mamoru Hosoda was originally commissioned to direct Howl’s Moving castle but couldn’t agree on a concept with Ghibli. Hosoda’s initial involvement is a noteworthy departure from traditional practice as he was the studio’s first attempt with a non-house director, which wouldn’t happen until 2016 with their co-production of the Dutch animated film The Red Turtle. And there’s the tragedy of Yoshifumi Kondō. In 1995, Kondō made his directorial debut with Whisper of the Heart, becoming the first person that wasn’t Takahata or Miyazaki to take the directorial hot seat for Ghibli, adapting Miyazaki’s script. They hoped it would provide a taster to his future as Ghibli’s creative figurehead. However, three years after its release he died of an aneurysm, serving a massive blow both personally through the loss of a life-long friend and professionally in losing an animator that Miyazaki described as “one of the best […] animators I ever met.” Takahata wrote that he had begun “leading the entire staff members” which reaffirms the suspicion that they were grooming him to become the new creative figurehead. Ghibli would later produce The Cat Returns which is a quasi-spinoff from The Whisper of the Heart, borrowing two characters and being set in a universe stylised like the universe that the main character of Whisper of the Heart creates for her novel. This overt homage of an entire film dedicated to Kondo emphasises how deep-seated Ghibli felt his loss. Furthermore, there’s Goro Miyazaki. Surely the ideal candidate to take over a Miyazaki is another Miyazaki? Not necessarily. Tales from Earthsea is a black sheep in the Ghibli collection; not only did Ursula K. Le Guin take issue with Goro’s adaptational liberties with the plot, but a consensus formed that it didn’t have the same charm as his father’s work. Goro Miyazaki’s relationship with his father and his career has always been acrimonious, writing about his father’s neglect as he chose work over family. And this influenced his initial ambivalence towards following his father’s footsteps who spent many years as a landscape architect, consciously avoiding his father. The production of Tales from Earthsea speaks volumes about the relationship between father and son, as Hayao was against the inexperienced Goro taking the role. Rumours say neither spoke to one another during the film. After enduring the surreal hell of its production, Hayao said that “it’s good that he made one movie. With that, he should stop.” His reservations about his son steering the ship in his absence is clear. And, like father like son, Goro shares those concerns. Since Tales From Earthsea, Goro has begun developing his own directorial style. The most notable departure from his father has been embracing CGI animation. Hayao has always been ambivalent about CG animation and relies on hand-drawn animation as much as possible, but Goro has produced the TV series Ronia, the Robber’s Daughter. Even though it’s co-produced by Studio Ghibli, the usage of CG animation (done out-of-house in Polygon Pictures) highlights the artistic evolution of Goro. He remarked that “If I were to create hand-drawn TV anime series now, I would only be following a path carved out by Hayao Miyazaki […] I wouldn’t like that” signifying how the decision to go CGI has, at least partially, been driven by a desire to distinguish himself. It’s obvious both men have reservations about Goro becoming Hayao’s directorial heir. More recently, Goro commented that “it hasn’t really changed all that much from before. It’s still a workaholic father and a son” and that despite his love for his father and attempts at understanding him, it’s “a little tougher to talk about those things”. This personal strain is evident in his artwork which all explore a failure of fatherhood to varying degrees. One sub-par film isn’t a nail in the coffin for ambitions to take his father’s mantle, but that’s a redundant question to ask if he isn’t interested. Finally, to hammer home the superfluous nails into the firmly shut coffin look no further than Hiromasa Yonebayashi and Yoshiaki Nishimura. Yonebayashi began honing his directorial craft with Arrietty in 2010 and cemented his reputation as a rising auteur with When Marnie Was There which he directed and co-wrote, whilst Nishimura established his reputation as a producer for When Marnie Was There and The Tale of Princess Kaguya. Just as their stars began ascending though Ghibli went into hibernation to wrestle with its non-Miyazaki future. Unfortunately, it seemed the goodwill they had been cultivating throughout the decade wasn’t enough to earn their trust as Ghibli’s next generation. So out of the ashes came Studio Ponoc and its first film Mary and the Witch’s Flower, as the dynamic duo drafted many animators from the hibernating Ghibli. Accordingly, the film inherited the hand-drawn animation and storytelling philosophy of Ghibli, to the point where Yonebayashi mentioned he was concerned about comparisons to Kiki’s Delivery Service due to the similarities, as well as the pair repeatedly drawing comparisons between Yonebayashi and Miyazaki. Fittingly, Yonebayashi seems to have assimilated the artistic sensibilities of both directors to be able to craft films in both director’s visions. When Marnie Was There focuses on Anna’s anxiety and internal conflicts with a methodical pacing that evokes a sobering flood of empathy that rarely dives into fantastical folly. In contrast, Mary and the Witch’s Flower better reflects Miyazaki’s influence as the main character becomes a witch and has the faster pace of a fantasy film. One has to wonder why, given the success of the Yonebayashi/Nishimura pairing both within and outside Ghibli, the studio chose to enter dormancy rather than continue to facilitate the ambitions of the pair and make more films. Nishimura spoke about this in a recent interview, saying “Mr Yonebayashi and I, and lots of the staff who worked together at Ghibli, wanted to carry on creating animation”. Has Ghibli lost the desire it once showed with Kondo to nurture talent to become successors to Miyazaki and co? Ironically, it may well be the unique creative vision of Studio Ghibli fostered by Miyazaki that will seal its inevitable fate. Just consider, for example, Makoto Shinkai who made clear that he could never consider working for Ghibli due to differences in their approach, saying that “I don’t think they’d even ask me […] we’re just two different entities and our styles are just really, really different”. Admittedly, it’s unreasonable to expect another titan of anime to forego his career path to work for Ghibli, especially as the Miyazaki comparison is mere conjecture from journalists’ imagination looking for new articles to write. Nonetheless, his response highlights the conundrum of Ghibli just as Hosoda’s aborted Howl’s Moving Castle does – nobody can replace Miyazaki and Takahata. Even directors that can resonate with audiences at a level comparable to them won’t do so with his style. And audiences respond to this. Even Yonebayashi, the most apparent heir to the two, cannot secure the financial return or cultural impact that those two did. Maybe if Yonebayashi had started earlier and built his name alongside the two, he would’ve established the brand recognition as the third Ghibli man to offset this. Ghibli’s reliance on the Miyazaki and Takahata has embedded their style into their brand identity. In contrast, Pixar have several acclaimed directors (John Lasseter, Brad Bird, Pete Docter, Andrew Stanton) who individually worked on diverse projects which collectively expands Pixar’s scope. Consequently, Pixar has an artistic eclecticism that Ghibli lack, now sticking out as an Achille’s Heel about to be shot by an arrow. Spirited Away, Nausicaä, and Mononoke have different settings and characters but are imprinted with the distinct Miyazaki-isms. It’s a poetic irony that Miyazaki and Takahata’s style which made Ghibli so successful also makes it a gargantuan task for successors to follow. Hosoda’s creative vision didn’t align, Goro Miyazaki wasn’t good enough, Kondo died too young and Yonebayashi started too late. Perhaps, circumstances permitting, Kondo or Yonebayashi could’ve established themselves as the third man and developed the brand recognition and creative authority to survive beyond them. But they couldn’t. The studio currently lives and dies by Miyazaki’s breath and it’s an issue that has yet to be resolved and, sadly, may never be resolved. Matthew Dale is a Third Year Biomedical Sciences student.